An internationally-recognised entomologist, Alison founded APS in 2004, following a successful academic career and completion of a Royal Society of Edinburgh Enterprise Fellowship. 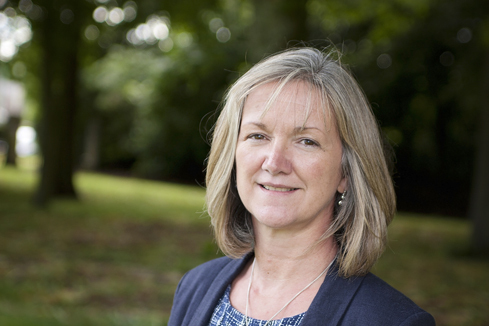 Alison has a track record of managing SME’s, fund raising and project management, having developed a pipeline of bacteriophage developments in the fresh-produce sector. Mark represents Branston Ltd. on the APS Board, bringing a commercial insight across the fresh-produce industry. At Branston, Mark serves as Technical Director and is responsible for food safety and legal and customer standards compliance, as well as overseeing their Prepared Foods division and wider innovation strategy. Roma is a biopesticide specialist, experienced in the process of getting biopesticide products onto the market; streamlining bio-discovery, product development, registration and marketing. Roma has taken a lead role in the development and registration of many new biopesticide technologies and brings this expertise to the APS Board. Fergus has spent the last 15 years taking early stage technologies to market and is ideally placed to assist in commercialising APS’ bacteriophage technology. He serves as a Non-Executive Director with several Scottish companies and is a consultant to the Agritech industry (Vertical plant growth and infrared –based plant health sensors). Kate is an experienced professional, qualifying in 2002 after 16 years in various accounting roles. After leaving professional practice in 2004, Kate moved into Corporate Finance working for Braveheart Investment Group plc where she specialised in investment appraisal and due diligence. Kate is integral to APS’ financial management, fund raising and strategic review activities. Former CEO of Samworth Brothers, Brian was instrumental in the growth of the company, as well as developing own-line labels for retailers including Tesco, Waitrose, Morrisons and M&S. Brian has an outstanding reputation in the food industry and his knowledge and experience is of considerable benefit to the APS Board.